Vic Gundotra, VP of Engineering for Google, explained at Google I/O last May that Google intend to deliver a whole lot more than just applications on the Android Market by demonstrating a Android music download service. It seems Google don’t plan on stopping with just music downloads as a recent report in The Wall Street Journal explains that Google are trying to lure publishers into supporting a â€œdigital newsstand inch service for Android. Google are supposedly in contact with Timer Warner, CondÃ© Nast and Hearst, three large publishers, regarding the service however â€œdetails of the newsstand venture and its timing remain vague inch. Apple already provide publishers with the ability to sell periodicals through their iTunes service so expect competition to intensify if Google can get their newsstand product off the ground. I just discovered something that I’m guessing the world and his dog already knows about but despite possible embarrassment, I’m still going to write about it. I updated the firmware on my Xperia X10 yesterday (don’t get excited, it was just a maintenance release. I’m still waiting for the latest firmware to roll-out on unbranded X10s in Germany) and part of the procedure called for backing-up the applications using the free Astro File manager (good recommendation.) I had no idea that the file manager would simply create APKs on my SDCard but it did. I popped the SD card into my Archos 5 and hey-presto! I was able to install the apps. Latest Seesmic, NewsRob and Kindle all worked first go so I’ll be looking to back-up quite a few more onto that SD card. There’s a ‘hack’ that allows Marketplace to run on an Archos 5 but I don’t recommend it for stability reasons. The complete Google app suite is installed and there’s just not enough memory on the Archos 5 to handle it all. You’ll be forever killing applications to keep things tidy and smooth. One alternative then is to use this back-up method. If you haven’t got an Android phone, look for a second-hand one or even buy a new one. At 150 Euros entry price it’s worth having one to play around with anyway! So to summarise: You can ‘back-up’ applications from an Android phone onto an SD card using the Astro File Manager. 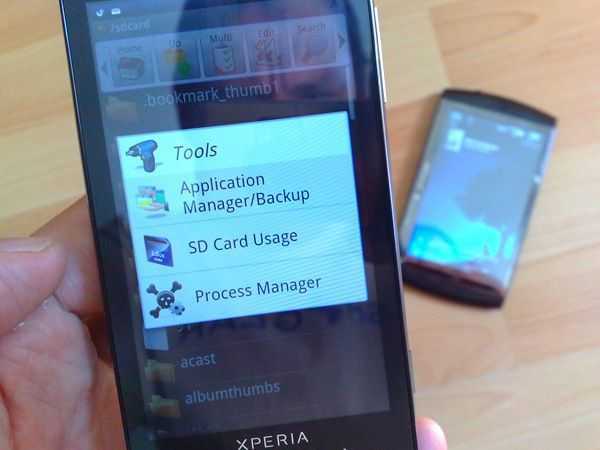 To install the backed-up files onto your Archos 5 just open the built-in file manager, navigate to the SDcard and backup->apps folder and you’ll find the .apk files. Double click on a file and it will start the install process. Note that the Google app suite including Maps, Goggles and Gmail needs more than just application installs to work fully so you’ll need the Marketplace hack for that. 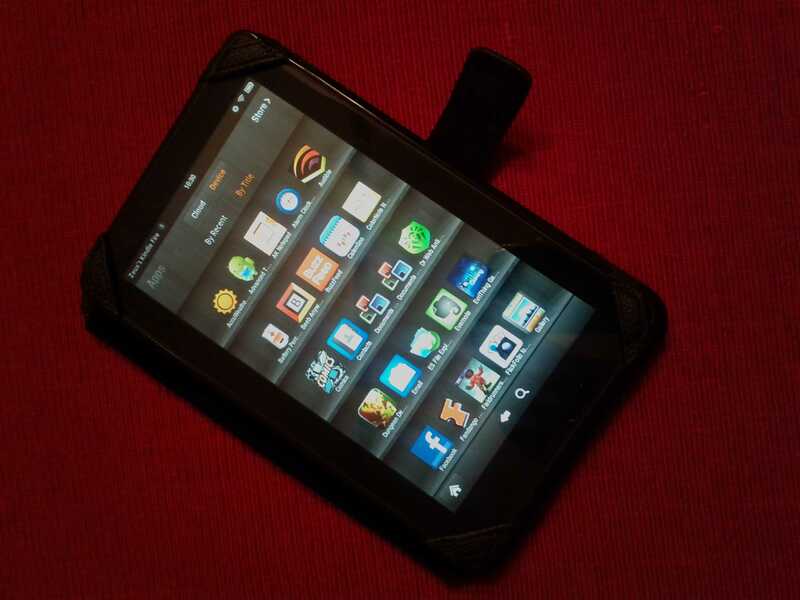 More about the Kindle application on the Archos 5 in the following article and of-course, full information about the Archos 5 in our product page. 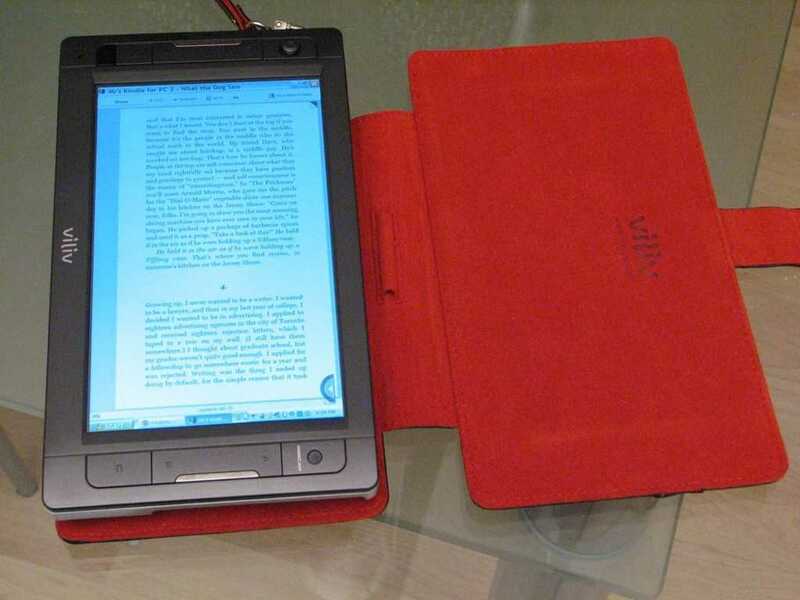 Video: Amazon Kindle for PC In Action on a Handheld PC. 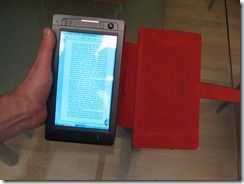 Related article: Kindle for (UM)PC now available. 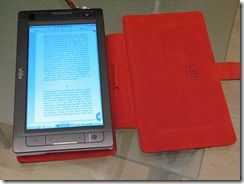 Related article: What’s the best PC for the Amazon Kindle PC software? I won’t claim that this is a perfect e-reader device (see this article for an idea of the ideal PC for ebook reading) and as the Kindle software is locked-down to the Amazon store, it’s hardly flexible but considering I can run Mobipocket, PDFs and practically every other format of ebook known, it works out to be quite the flexible solution. Oh, and it’s a PC! For those that aren’t familiar with the X70, it runs an Intel Atom at 1.3Ghz with a fast SSD drive and has a battery life of up to around 7 or 8 hours. It weighs 660gm and you can buy it with an optional built-in 3G module. More information here. Make sure you watch the video in ‘HQ’ mode (button bottom-right) for the best quality. 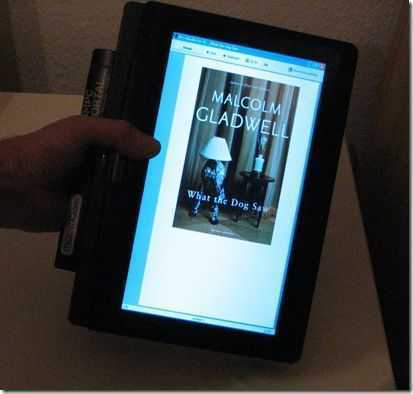 Kindle for (UM)PC Now available. Hands-on. 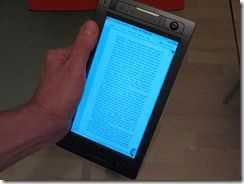 Sascha from Netbooknews has just tweeted that the Kindle application for the PC is now available. 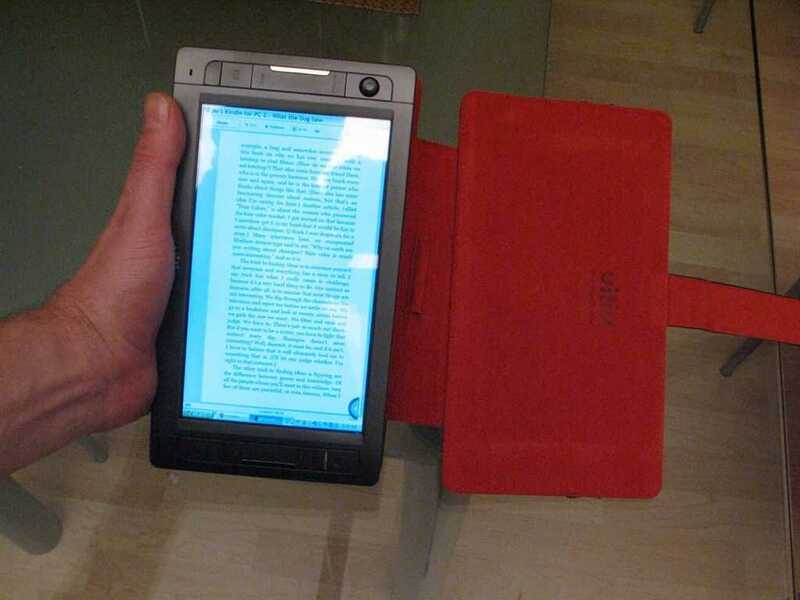 ‘This is the beginning of the end for the Kindle hardware’ he says. Well I’ve installed the software, linked it to an account in the UK and sure enough, it works like a charm. I just bought a book online, hit F5 and there it was on the PC. Thanks to Whispersync, you can already read your notes and highlights from other devices on Kindle for PC. 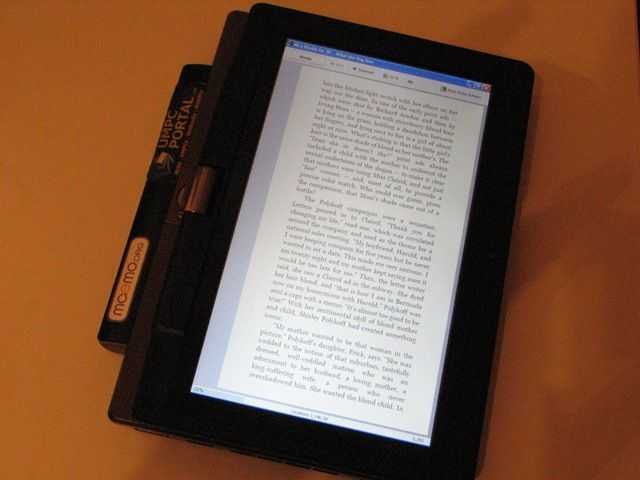 We’d like to add the ability to create notes and highlights using the Kindle for PC application. 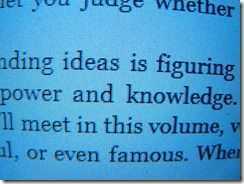 Find a word or a sentence in the book you are currently reading. Click on an image to see an expanded view and rotate it if desired. Images (the cover at least) are in glorious Technicolor! How big can a Mobile Internet Device Be? Kindle-Sized? This is the question that I’ve been battling with over the weekend after someone asked ‘Is the Kindle a mobile Internet device?’ Six months ago I probably would have said ‘no’ and stuck to my belief that a MID should be a pocketable device but since then I’ve changed my opinion slightly. I now believe that the non-pocketable ‘handheld’ aspect is also an important category of MIDs, just as, say, the chunky Dash form-factor is. Consider these Kindle features for a moment. One of the most aggressive pricing structures for mobile Internet access yet. Free! 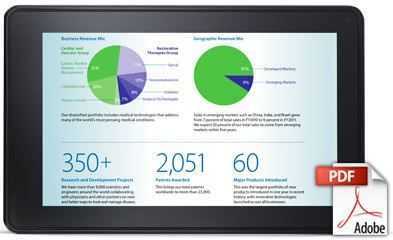 All data costs are rolled up into the cost of the device. 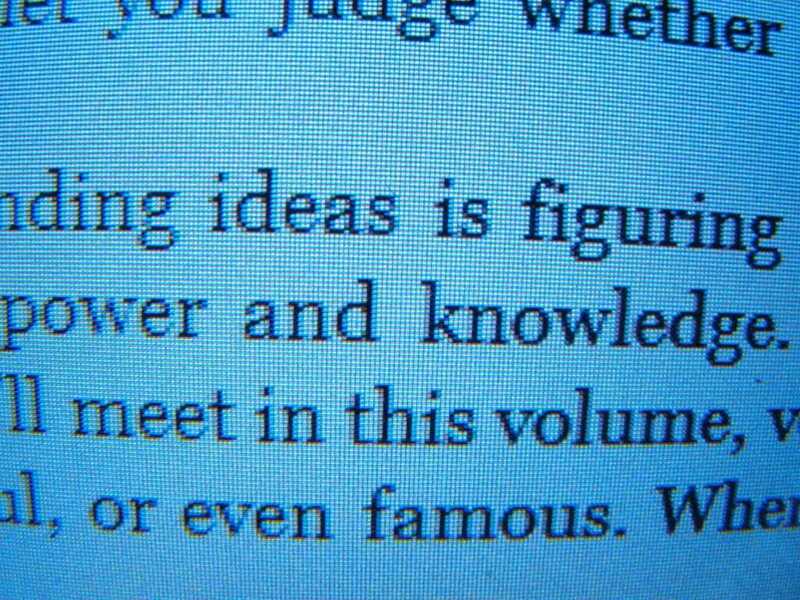 Of course, there’s a lot of issues with the current Kindle. The browser is basic, the speed of the device is a major issue and the lack of backlight a serious shortfall but if you think about it, you can easily envision variations of the Kindle that focus on other forms of consumption. Web, Video and Navigation being just three. 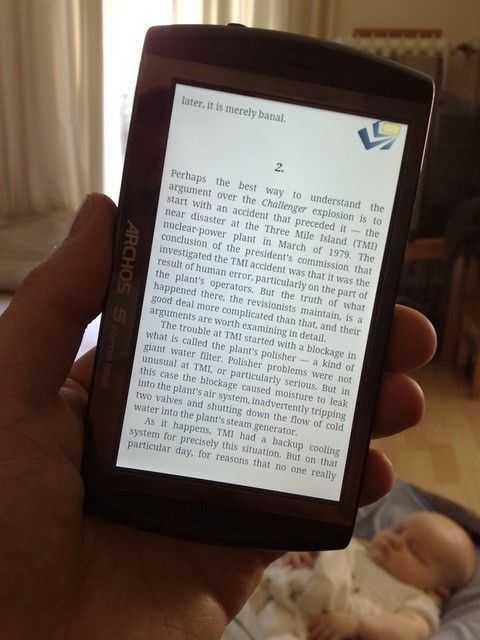 The current Kindle may not satisfy those seeking a full browsing experience but the core concept of a book-sized, connected reader is undeniably good. 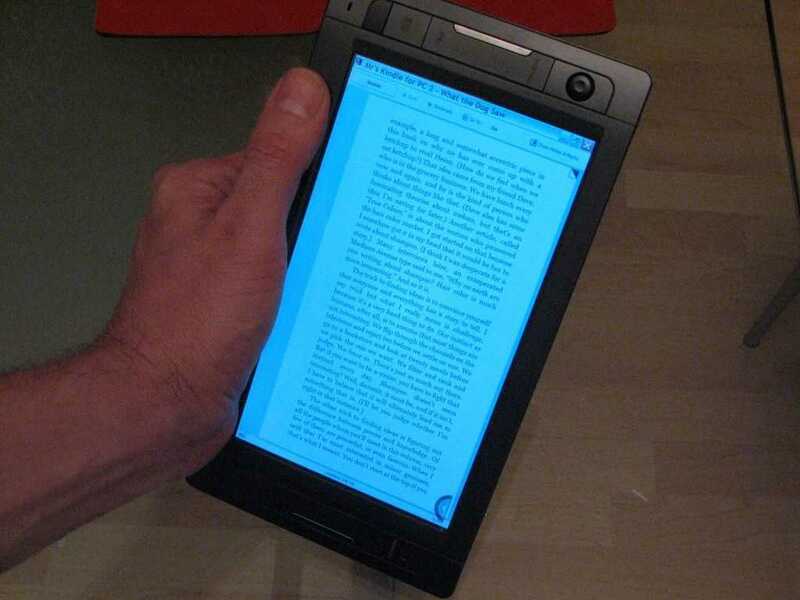 For me, the definition of a mobile Internet device has to include ‘hand-holdable.’ The volume of the device is important so a 300gm, super-thin reader would qualify in my, updated, book. Netbooks don’t cut it for mobility as 2lb is still too heavy and the volume of these devices is huge compared to others. You can fit 25 iPod touches inside the volume of the MSI Wind! Fancy carrying 25 iPod touches in your backpack? Maybe Intel should loosen-up on their definition of a MID because while pocketable is good, there are other mobile Internet customers out there that can be served by the same technology.